Lower back pain and sciatica are 2 notorious pain syndromes that often combine to exponentially magnify suffering. Lumbar back pain is known to be one of the most debilitating of all health issues. Meanwhile, sciatica is has a reputation as being one of the longest duration pain syndromes. Not coincidentally, both varieties of torment are well documented as treatment-resistant stubborn problems that often defy all attempts to enact cures. What is the connection between lower back pain and sciatica? Is there more than one plausible answer when it comes to the cause of such dual pain problems? Most importantly, how can a person find lasting relief from the double dose of misery that can make every waking moment an utter terror and even prevent sleep from ever taking the edge off the agony? This important patient guide explores the relationship between sciatica and lower back pain in suspected causation and symptomology. We will also discuss how related lower back and sciatica pain can often be resolved using a single curative approach to care. Let’s start by profiling the usual causes of sciatica. True spinally-motivated sciatica can only be created through direct compression or chemical irritation of the nerve roots that form the sciatic nerve, including L4 through S3. However, pseudo-sciatica mimics sciatica is every way except for causation, and can be sourced from numerous spinal structural, non-spinal structural and non-structural causes. The fact that there is often more than one plausible explanation for sciatica in a given patient confounds diagnostic efforts. As we detail in this website, there are so many potential causes of lower back pain. Some of these causes might be identical mechanisms to the origination of sciatica pain, such as lumbar herniated discs, scoliosis, spondylolisthesis, hyperlordosis, osteoarthritis or other conditions that can create functional deficits in the nerve roots from L4 to S3. However, when pseudo-sciatica occurs, the causes of lower back pain might be coincidental to the source process for the sciatic nerve symptoms. We see this often in cases of spinally-motivated or muscular-induced low back pain, combined with incidental piriformis syndrome, diabetic sciatica or other causative process for leg and foot symptomology. We also observe many instances where both the sciatica and lumbar pain is generated completely nonstructurally through a singular regional ischemia process, most commonly linked to the mindbody interactions. Many people confuse lower back pain and sciatica or mistakenly combine the two conditions into one. True lower back pain originates and is expressed between the thoracolumbar frontier and the end of the tailbone. This incorporates the areas of the lumbar spine, the sacral spine and the coccyx. Meanwhile, sciatica describes symptoms in the sciatic nerve, which does not even exist in the lower back region. Instead, sciatica is experienced in the lower buttocks, legs or feet. Lower back pain rarely involves related symptoms, such as tingling or numbness. However, muscular weakness is common, especially in cases of chronic lumbar pain where the muscles are deprived of activity. Sciatica almost always creates pain also, but usually involves tingling, numbness, weakness and even neurological deficits in the buttocks, legs and/or feet. Statistically, lower back pain is more consistent in its expressions, while sciatica is far more variable in location, duration and actual expression of symptoms. Both lower back pain and sciatica are difficult to resolve according to research statistics and clinical experience. However, the reason for this is not expressly implied by the dismal cure rate itself. Most sciatica and lumbar dorsalgia syndromes can be cured if they are accurately diagnosed. However, as we write throughout this website, misdiagnosis is a major hurdle to most patients’ recovery efforts. There is no single symptom set more often mistakenly diagnosed than sciatica. There are just so many possible causes and most cases are unfortunately blamed on incidental structural factors in the lumbar spine which may or may not be the actual cause of the lower back pain. Diagnosis of dual pain syndromes is always a complex process, but it is not impossible. In order to improve your results, we highly recommend seeking evaluation of lower back and sciatica pain from a qualified neurologist. Be sure to document a history of your symptoms, including when they occur, what triggers them, how long they last, how severe they are, how they change, what makes them change, and what types of sensations are expressed. This record keeping will greatly assist your care provider to correlate the symptoms to their actual cause and help prevent you from facing potentially unsuccessful and unnecessary treatment or surgery for a condition that might not even be the actual underlying source. Remember that if a correct diagnosis is rendered, there are still multiple paths towards lower back pain treatment, including the symptom-targeting and curative approaches to care. We generally recommend seeking out a true cure to end the pain rather than symptomatic therapy. However, in some instances, curative treatments might be dangerous or contraindicated for some particular patients and diagnoses, so always be sure to get more than one opinion on the ideal therapeutic method for your needs. 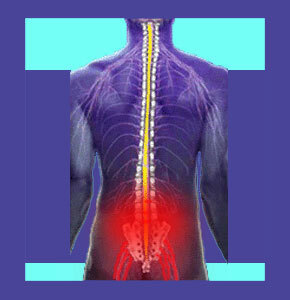 We provide incredibly detailed coverage of sciatica on our web resource Sciatica-Pain.Org.